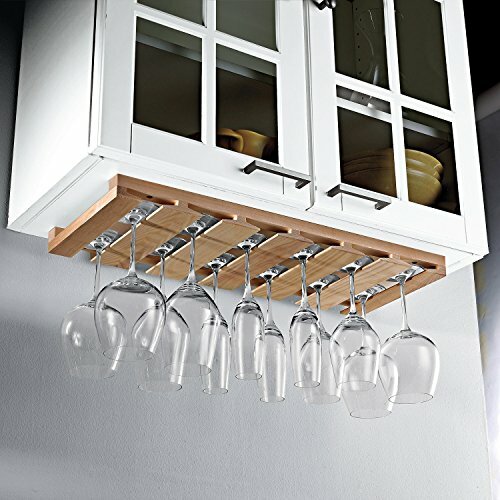 Mount it above your bar or under a kitchen cabinet. Constructed of unfinished wood so you can stain or paint the rack to fit your decor. Holds up to 18 stems in six slots.